Web site hosting has come a long way over the past 20 years. In the early days disk space and bandwidth were the two metrics most people measured, if you got more it had to be better. Fast forward to present day, now it's the cloud. If you're in the cloud it's going to be better. This is why you will never see us offering features like 'unlimited disk space', only to restrict your disk space with legal verbiage in our terms of service. This is not the way we want to conduct our business and you shouldn't have to be worried about the fine print. 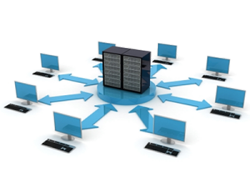 We provide outstanding up-time, exceptional support, Enterprise level hardware and amazing consultation. All of our hosting accounts are provided fully managed, you don't have to worry about what your technical capability when you have YellowHammer IT as your partner. We hope these are the metrics your organization finds important and you can share in the hosting success we have experienced over the past 16 years. Contact us today!